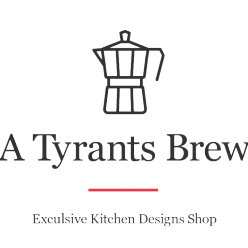 Your privacy is very important to us at atyrantsbrew.com. We do not distribute your personal information to third parties for any purpose. Like many other websites,atyrantsbrew.com makes use of log files. The information inside the log files includes internet protocol (IP) addresses, type of browser, Internet Service Provider (ISP), date/time stamp, referring/exit pages, and number of clicks to analyze trends, administer the site, track user’s movement around the site and gather demographic information. IP addresses and other such information are not linked to any information that is personally identifiable. Any product claim, statistic, quote or other representation about a product or service should be verified with the manufacturer, provider or party in question. All advertising is in the form of advertisements generated by a third party ad network. Those advertisements are identified as paid advertisements. This blog does contain affiliate links, meaning that if you were to make a purchase through one of these links, I would receive a small commission (at no additional cost to you). Affiliate links will be identified as such.